Reno Man Gets 2 Life Sentences For CSA | NOT IN MY WORLD!!!! Reno, Nevada – A Reno man was sentenced on Monday to serve two life sentences in prison after he plead guilty to sexually abusing a 12-year-old girl. 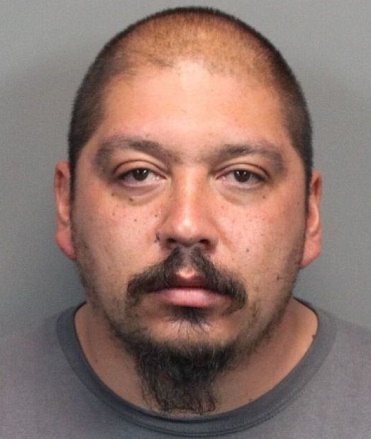 Marcos Martin-Montoya, 35, plead guilty earlier this year to two counts of lewdness with a child under the age of 14, officials with the Washoe County District Attorney’s Office said in a news release. Each count carries a penalty of life in prison with the possibility of parole after serving a minimum of 10 years. “The sentences handed down today are consecutive, guaranteeing that the very earliest Martin-Montoya could be eligible for release would be after he has served 20 years,” officials said in a statement. Authorities had received a report that Martin-Montoya was inappropriately touching the 12-year-old in early May. Investigators later found that the girl had been sexually abused by him since 2009. “He was arrested that same day,” officials said. A multidisciplinary team from the Washoe County Child Advocacy Center were investigating the case. That included detectives from the Reno Police Department, authorities with the Washoe County Social Services and prosecutors with the Washoe County District Attorney’s Office. “The work done by this exceptional team of prosecutors, detectives and child advocacy professionals continues to better serve our community’s most vulnerable victims of crime,” District Attorney Chris Hicks said in a statement on Monday. The Child Advocacy Center opened in June 2014 and has conducted more than 300 interviews with child victims. Previous PostSC Teacher Receives 3 Years for Abusing Special Needs ChildNext PostCHILDREN’S LIVES MATTER!!! !